My approach is to make the classroom setting one that encourages learning depending on the dominant learning style of each student. Some learn best in lecture atmospheres, some are motivated by discussion, and others absorb best when they read and reflect. Approaching teaching helps to make sure all of my students are actually learning. One of most important aspects of my teaching philosophy is helping students understand that knowledge and skills learned in relation to a particular subject can thereafter be applied successfully to other subject areas. For example, I teach trial advocacy. Although the learning is primarily centered around trial court knowledge and skills, I also help my students to see that putting together an opening statement is the same skill set one uses in putting together a presentation for any subject area. At the end of the day, persuasion is persuasion. Once a student learns how to persuade, that learning can be applied to every aspect of learning and life. 2. Describe your discipline philosophy. Discipline is necessary but in practice is usually abused in the extremes. In other words, it is not employed where it will have the most impact and over-used where the impact is minimal or worse counter-productive. The important thing is to make the student see the connection between behavior and consequences. Discipline is only one way of doing that. And usually never the first option. 3. Why did you get into teaching?. I have felt a calling to teaching all of my adult life. Even though I have spent most of my career outside of the classroom, finally being able to teach high school students has been great and much more rewarding than I ever realized it could be. Wish I had made it to the classroom sooner! The level of attention or one-on-one interaction that each student needs is different. I find that I can use this fact to give the struggling students more time and attention while still keeping the higher performing students interested and moving forward. Something happens between a student and a teacher when that extra effort is made and the student understands how important it is to you that everyone learn. No child is left behind. 5. What advice would you give your community about education? As many have said, knowledge and skills-based learning are the foundation for success in life. We don’t need to reach for the stars with our education goals when there are still kids who don’t read or learn at their level. Back to basics – emphasize the fundamentals. Once the fire of learning is lit, the student will take themselves to the next level. 6. What does winning TARMtea Teacher of the Year award mean to you? 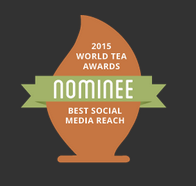 I want to thank TARMtea for this very unexpected award. It is great to know that others have taken notice of the dedication and time I put into my teaching. This award just makes me want to strive even harder to be the best teacher I can be! Thank you to everyone that voted! !